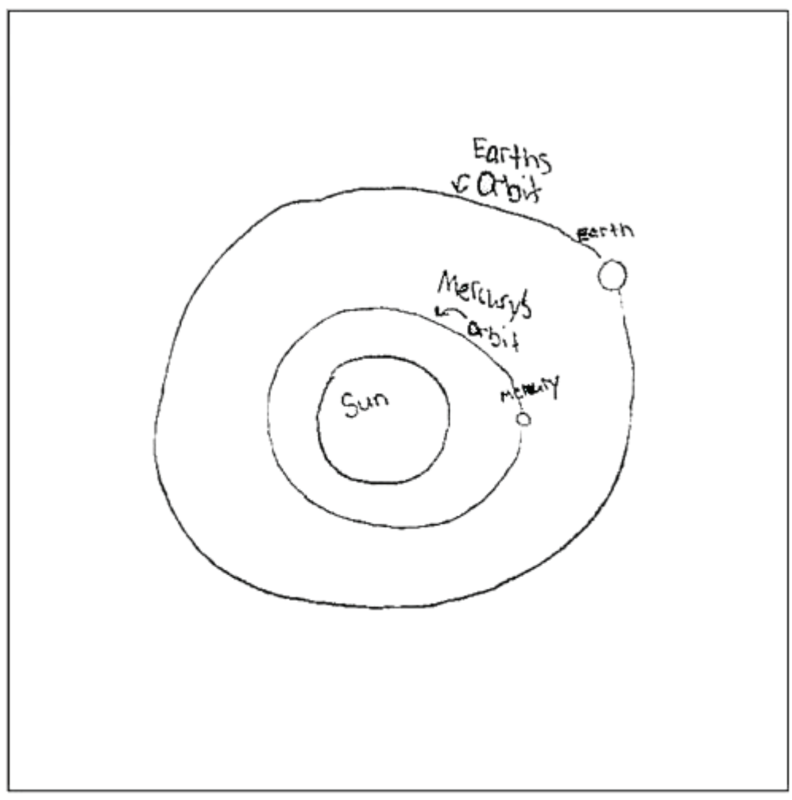 Question 2: Mercury is the planet closest to the Sun. In the box, draw a diagram showing each of the following: Earth, Mercury, Sun, Orbits. Label all parts of your diagram. That allows researchers and educators to compare student progress over time. NAEP tests serve as a big research project to benchmark academic achievement in subjects like science, math, reading, writing, civics, economics, geography and U.S. history. Science results were out Thursday for 4th, 8th, and 12th graders. Among seniors, achievement was flat, and performance gaps by race, ethnicity and gender persisted. But fourth- and eighth-graders showed modest progress: each up four points since 2009. That's encouraging to U.S. Secretary of Education John King, who said in a press call, "We're seeing racial achievement gaps in the sciences narrowing in the fourth and eighth grades ... and the gender gaps also are closing." "All of this means that more students are developing skills like thinking critically, making sense of information and evaluating evidence," King said. The results got us wondering about the bigger picture: How well can a multiple-choice and short-answer test assess a subject as complicated as science? We reached out to science education experts to help us answer that question. "I've seen worse," Wieman tells us. "A lot worse." Still, he's not convinced the NAEP science tests meaningfully assess scientific thinking. "There is no concept at all of where a student might be able to use those facts or have any relevance in anyone's life, which for me is kind of more meaningful measures of learning." Sixteen states are in the process of adopting science standards that try to get students to think and ask questions just as scientists, engineers and physicists would. They're called Next Generation Science Standards; they're research-based, and de-emphasize the classic lecture, textbook, lab and test model of science teaching. Wieman says NAEP is missing a chance to help redirect science learning. "I see a real disconnect between these kinds of questions and what's called for in the standards." David Evans is the executive director of the National Science Teachers Association, which has been instrumental in creating the new science standards. His organization calls for "a dramatically more active learning process." This means students should be "confronted with a phenomena, asked to develop their own questions, and engage in the practices of science." But how do you check students' progress in this complex process? "Assessment is a real challenge," Evans says. The National Academy of Sciences released a report that recommended states start with classroom-level performance assessments. But, says Evans, it's early days; national, benchmarked assessments don't yet exist. "No one has actually developed tools that the community feels comfortable with for assessing student progress under the new standards," he says. Dale Dougherty, is founder of MAKE: magazine and the Maker Faire, which emphasizes hands-on learning and exploration in science, technology and engineering. He says too many schools still ask students to label, say, the parts of a microscope for a test, but fail to teach students how to use one to see something new. In line with the National Academy of Sciences, he'd like to see schools make a bigger shift toward portfolio-based assessments. That's where a teacher evaluates projects, individual and group presentations, reports, papers and other work collected over time. "It's closer to how the work world evaluates people, which is: 'What is it you can do? Not just what do you know.' And I think that's an important shift," Dougherty says. Jennifer Childress is the director of instructional support for science for Achieve, a group that works to improve state assessments and learning standards and also helped create the Next Generation Science Standards. Childress says that NAEP today is better than nothing. "The NAEP results are likely to give us a good indicator of how students are doing on science skills and practices." And that was a common theme throughout our interviews. There may be value in NAEP because of its history, even if it's not perfectly aligned to the future. Results are out today on the federal government's nationwide science exams, often dubbed the Nation's Report Card. It shows that science test scores for fourth and eighth-graders are up a bit, but scores for 12th-graders are flat. That got NPR's Eric Westervelt wondering about the bigger picture - how good is the test at assessing science knowledge? ERIC WESTERVELT, BYLINE: The test results out today are a mixed bag. But Education Secretary John King says he's encouraged that fourth and eighth-graders showed some progress and that achievement gaps narrowed in those grades between racial and ethnic groups. JOHN KING: All of this means that more students are developing skills like thinking critically, making sense of information and evaluating evidence. WESTERVELT: But really, how well can a multiple choice and short answer test assess a subject as complex as science? 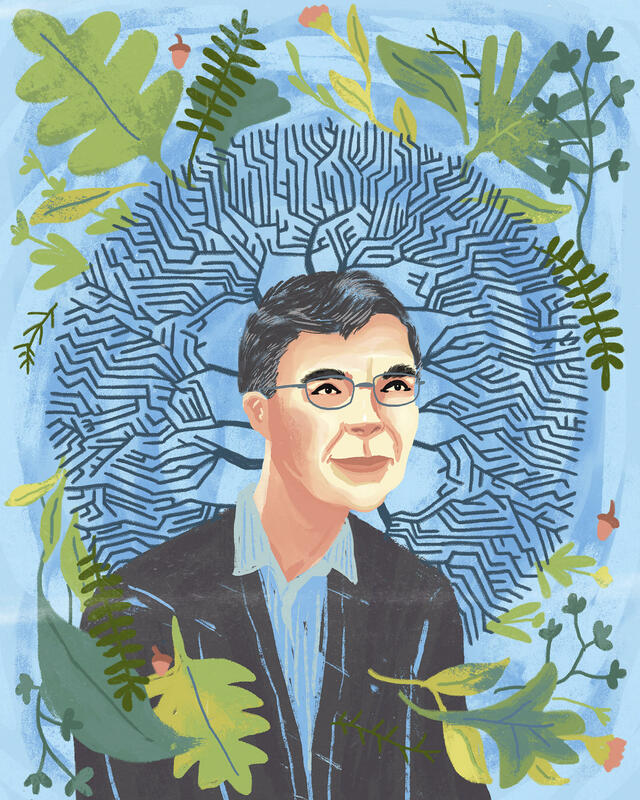 We reached out to scientists and educators, including Nobel laureate Carl Wieman who teaches both physics and education at Stanford University. He's a strong advocate for higher quality learning techniques in science, often called active learning, that limit lecture and textbook time in favor of small-group problem-solving coached by a teacher. After looking at the Nation's Report Card science sample questions, Wieman told me he's seen worse. But, he says, many of the questions are shallow. He's not convinced the tests meaningfully assess scientific thinking. CARL WIEMAN: There's still a lot of them that are looking at just - did you memorize terminology? - did you memorize some facts? - where there's no concept at all of where a student might be able to use those facts, which, for me, is kind of more meaningful measures of learning. WESTERVELT: Here's the thing - some schools are currently in the process of adopting new science standards. They're called Next Generation Science Standards. They're research-based and de-emphasize the classic lecture, textbook, lab and test model in favor of more active learning. Sixteen states, so far, have adopted them. Others have incorporated elements into their state standards. 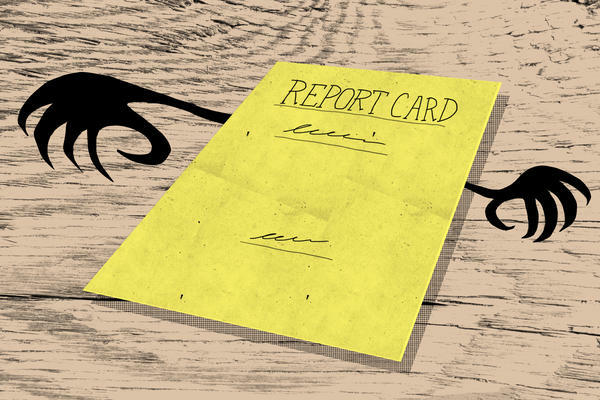 Wieman says the Nation's Report Card is missing a chance to better align its tests with those guidelines. David Evans, director of the National Science Teachers Association, agrees. His group has been instrumental in creating the new standards. DAVID EVANS: Where students are confronted with a phenomena and asked to begin to develop their own questions and then engage in the practices of science in order to understand the scientific phenomena or core ideas that are behind it. WESTERVELT: But how do you check students' progress in this new process? Evans concedes it's a huge challenge. WESTERVELT: Until someone does, Evans says, states should try to create their own classroom-level assessments. Eric Westervelt, NPR News. Transcript provided by NPR, Copyright NPR.